Best-selling James Beard Cookbook Award Winner. IACP Cookbook Award Finalist in two categories. 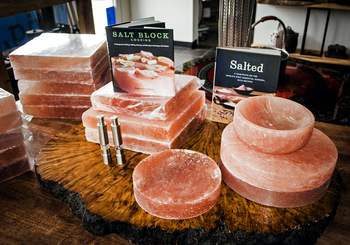 In Salted, Bitterman traces the mineral’s history, from humankind’s first salty bite to its use in modern industry to the resurgent interest in artisan salts. 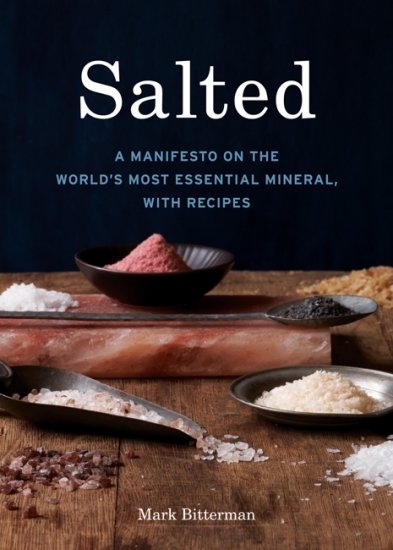 Featuring more than 50 recipes that showcase this versatile and marvelous ingredient, Salted also includes a field guide to artisan salts profiling 80 varieties and exploring their dazzling characters, unique stories, production methods, and uses in cooking; plus a quick-reference guide covering over 150 salts. Salting is one of the more ingrained habits in cooking, and according to Bitterman, all habits need to be questioned. He challenges you to think creatively about salting, promising that by understanding and mastering the principles behind it—and becoming familiar with the primary types of artisanal salts available—you will be better equipped to get the best results for your individual cooking style and personal taste. Whether he’s detailing the glistening staccato crunch of fleur de sel harvested from millennia-old Celtic saltmaking settlements in France or the brooding sizzle of forgotten rock salts transported by the Tauregs across the Sahara, Bitterman’s mission is to encourage us to explore the dazzling world of salt beyond the iodized curtain.